Stories about Molokai’s rich cultural history. For 53 years, a small building has stood at the edge of the ocean in Kalaupapa, holding many special occasions and happy memories for residents. 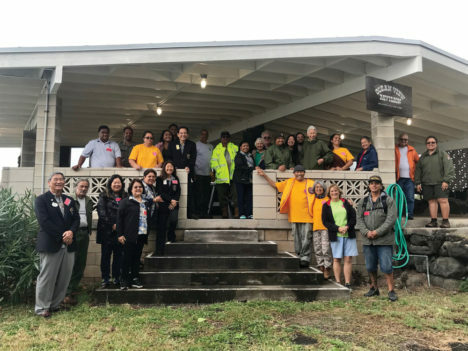 The Ocean View Pavilion, built in 1965 by members of the Kalaupapa Lions Club, recently underwent long-awaited renovations and was reopened in a dedication ceremony on Dec. 19. Historical records dating back to 1865 note Hawaiian outrigger canoe race competitions as one of the many events our kupuna took part in during annual la kulaia, days of festivities honoring the Kingdom of Hawaii and especially honoring our beloved monarchy. During that era, kulaia generally occurred once a year during a national holiday or birthday celebration of a mo’i (monarch). Almost two years of legal disputes between the Sproat family — owners of Kalaupapa Rare Adventures mule ride — and landowner R.W. Meyer, Ltd. have come to a head with an eviction notice for the mule operators. 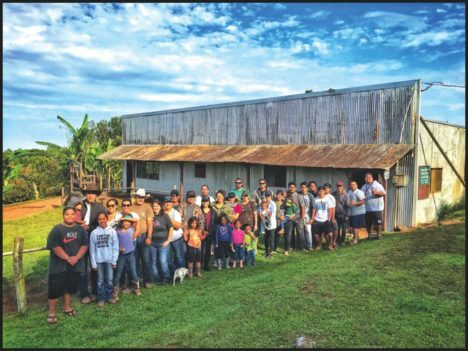 Both parties are now claiming ownership to the Kalae property where the mule barn has stood for more than 40 years. The Molokai community joined Hawaiian homesteaders in celebrating the birthday of Prince Jonah Kuhio Kalaniana`ole last Saturday evening. 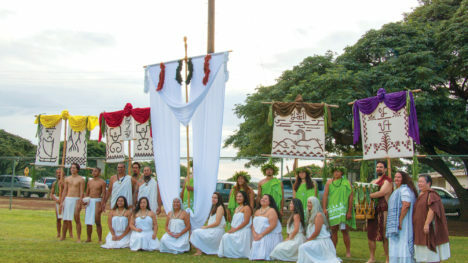 Held for the first at Mitchell Pauole Center, the annual event is organized by Ahupua`a o Molokai, a nonprofit organization that encompasses all Hawaiian Homestead Associations on Molokai. For many students from the remote island of Molokai, traveling to Oahu for a three day field trip was something new and exciting. But imagine spending two nights at a “sleep over” on a battleship or climbing into a cockpit of a fighter jet. 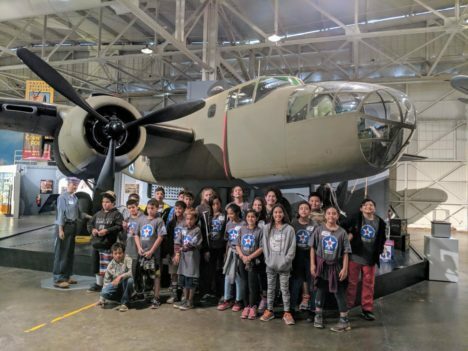 The action packed itinerary included hands-on aviation-related STEM activities and visits to historic World War II sites including Pacific Aviation Museum Pearl Harbor, USS Bowfin, USS Missouri, and USS Arizona Memorial. University of Hawaii professor Samuel Kaleikoa Ka`eo was issued a warrant for his arrest last week after he spoke only Hawaiian in court on Maui. 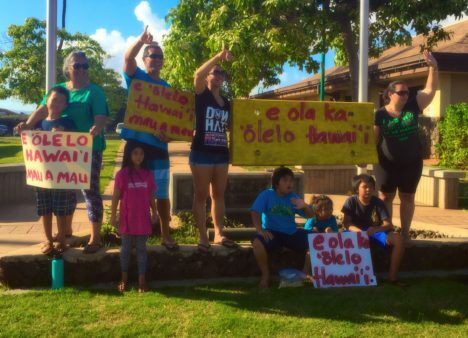 Ka`eo appeared in connection to protesting construction of a Haleakala telescope, and when Judge Blaine Kobayashi asked Ka`eo to identify himself as present in the Wailuku District Court Wednesday, Ka`eo did so in Hawaiian. The judge didn’t recognize his presence and asked three more times for Ka`eo to give his name, to which he responded each time in Hawaiian. Kaunakakai Ball Field thundered with cheers and the roar of an enthusiastic crowd as hundreds of residents and visitors gathered to compete in or support their favorite competitors at Ka Molokai Makahiki last Saturday morning. 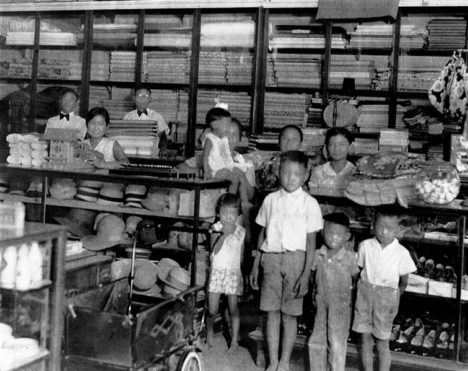 This year, Misaki’s Grocery and Dry Goods celebrates 95 years, having served great grandparents, grandparents, parents and children of Molokai residents in a family-operated business that itself spans four generations. Before tens of thousands flocked to Oahu’s Magic Island to greet Hokule`a after her historic, three-year Malama Honua Worldwide Voyage last Saturday, the sailing canoe and her crew made a special stop. 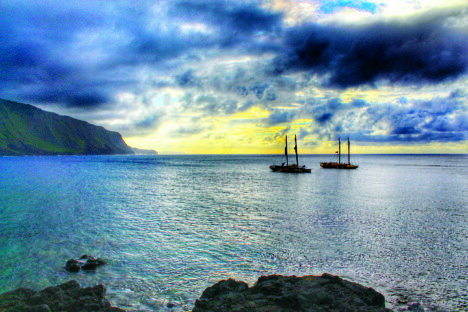 The isolated Kalaupapa peninsula was the official last port of call on Hokule`a’s journey, and the community there provided a safe respite from her travels before the public homecoming celebrations. 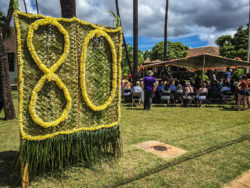 The Molokai Public Library was celebrated as a community cornerstone at its 80th anniversary last Saturday.